London's essential theatre for new writing has been the first step into the big time for dozens of Britain's best playwrights. Challenging, disturbing and original works are often accepted by the Bush Theatre, and find their way to the West End. Moving from the room above O'Neill's pub in Shepherds Bush Green to the former Shepherd's Bush Library building on Uxbridge Road in 2011, the theatre acquired larger premises as well as a laid back bar/library and cafe (open Monday to Saturday, 8am to 11pm), worth a visit even if you're not here to watch a play. Thankfully, despite the increased space - increasing capacity from 81 to seating for 144 people - the wonderful intimacy of the original venue remains intact, and the move can only help attract new audiences to this exceptional theatre. The theatrical experience and the quality of the acting talent who have been drawn to the Bush Theatre over the years is most impressive, with Alan Rickman, Anthony Sher, Simon Callow and Alison Steadman all putting in performances on the Bush's stage. 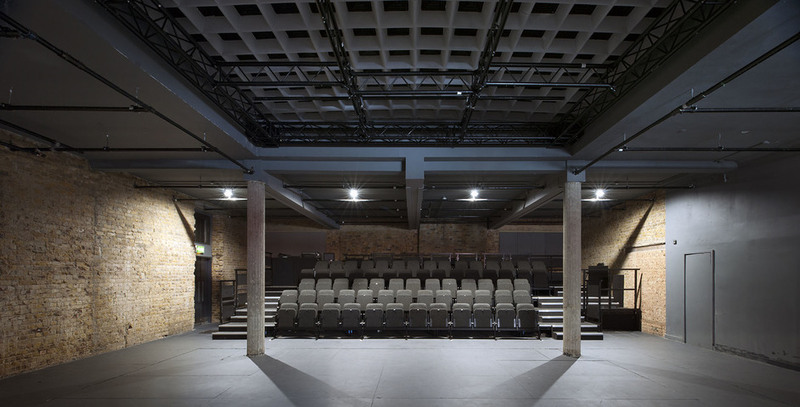 Artistic Director Josie Rourke (2007-2011) left the Bush Theatre at the end of December 2011, handing over the reins to Madani Younis whose first season began in April 2012. What are the best dining options near Bush Theatre London? Bush Theatre gyms, sporting activities, health & beauty and fitness. The best pubs near London Bush Theatre. Bush Theatre clubs, bars, cabaret nights, casinos and interesting nightlife. Where to have your meeting, conference, exhibition, private dining or training course near Bush Theatre. From cheap budget hotels to luxury 5 star suites see our deals for Bush Theatre hotels, including K West Hotel & Spa London from 91% off.